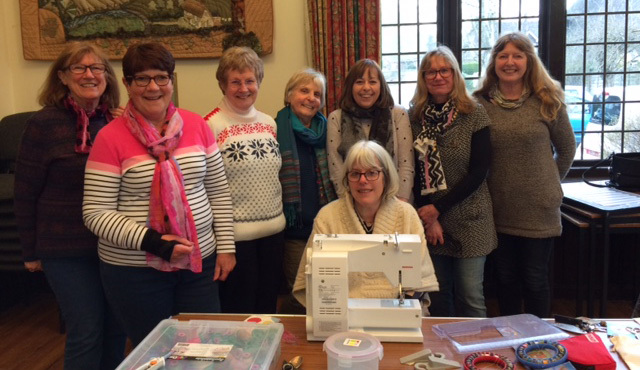 A band of happy stitchers braved the cold weather on Saturday 17 March 2018, to meet up at Goodworth Clatford Village Club. There was no set theme for the day so everyone worked on their own projects. Some of us hand stitched and others brought their sewing machines and soldering irons. We spent the day sewing, chattering, eating delicious cakes and encouraging each other. The time soon whizzed by. A big thank you goes to Anne and Janice for organising the day, it was great fun.